It seems there's been a recent deluge of ads reminding us to be "in the moment." As our mobile devices continue to morph into bodily appendages, brands are taking it upon themselves to appeal to our basic human emotions and need to connect with one another in more personal ways. 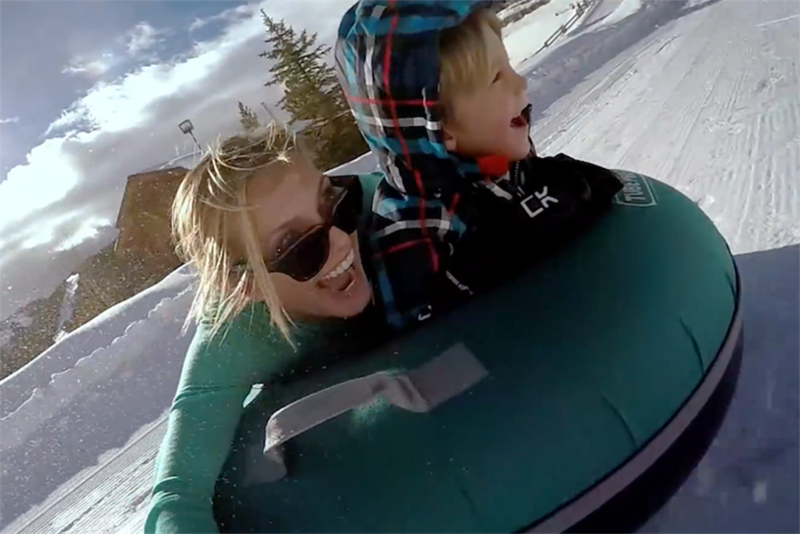 The message in GoPro's newest ad, "Capture Different," is not groundbreaking, yet the way it is delivered makes viewers stop, watch and respond. Until this month, the camera company's advertising bread and butter has been user-generated content. The bulk of their videos have consisted of fast-paced clips of various user adventures, ranging from lighthearted to intense, all meant to highlight product innovation and durability in the most extreme conditions. Very little, if any, dialogue accompanied earlier advertising. Clips were set to fast-paced music, which helped convey excitement, the perfect soundtrack for vicarious thrills. At Ace Metrix, we've tested nearly 60 such GoPro ads since 2010 and viewer response followed a common pattern. Ad Personalities mostly showed high Likeability and strong Desire. In terms of overall ad effectiveness, "Capture Different" is the highest scoring of all GoPro ads, and also falls within the top 3% of all camera ads we've ever tested. All demos were impressed, though it resonated strongest among 21- to 35-year-olds. Viewers found the latest ad highly relatable, which is a strong differentiator for a brand looking to broaden its audience. Below we compare personalities for "Capture Different" and "GoPro: Hero Session" from August of this year. Both ads are likeable and desire-driving, but the newer ad demonstrates greater relevance. GoPro "Capture Different" | GoPro "Hero Session"
Making a strong emotional connection in this way delivers outstanding performance among people who have never owned a GoPro, but say they will consider it in the future. These brand considerers make up 56% of viewers surveyed and both Desire and Relevance are even stronger among this group than all viewers. Similarly, 61% of viewers said purchase intent went up after viewing the ad. 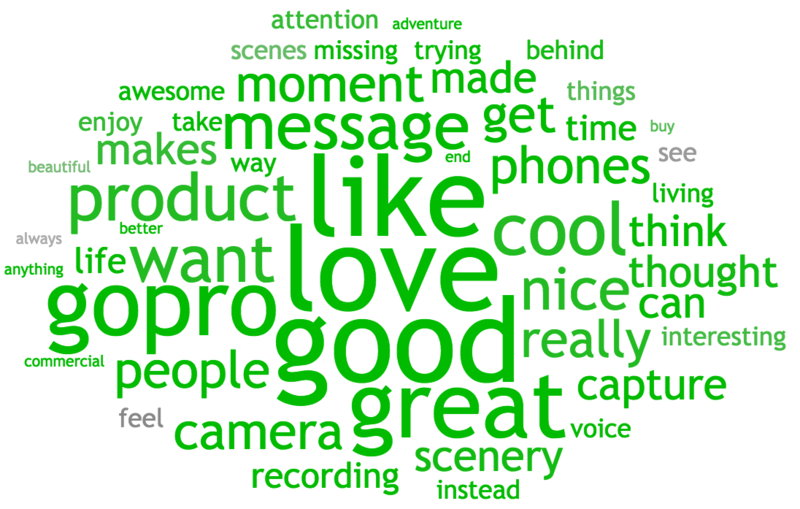 We mined their comments to see what drove this desire to buy a GoPro and here's what stood out (all green words indicate only positive sentiment). Whether this ad translates into increased sales for GoPro remains to be seen. Warm viewer response is a good sign, especially in the technology arena where it's difficult to break through the noise and engage consumers. Produced in-house with assistance from Goodby Silverstein & Partners, it's truly a great all-around effort.